*Blackdoctor.org has come up with a quick list of things for black men to adhere to, so they can regain healthful longevity. The list includes such gems as visit the doctor for regular check-ups. Which really is simply calling for preventive maintenance. 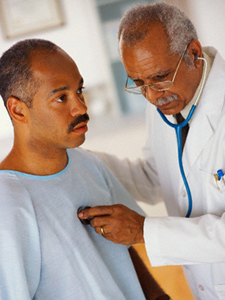 It’s hard to get men to the doctor as it is, so saying go to the doctor is fundamental.